Mr Murthy said the industry has survived major setbacks in the past and gloomy forecasts are not valid. "I have a feeling that it is possible for us to protect the jobs of youngsters if the senior management people were to make some minor adjustments - adjustment of taking salary cuts," the co-founder of Infosys said to news channel ET Now. "Let me give you example of Infosys itself. 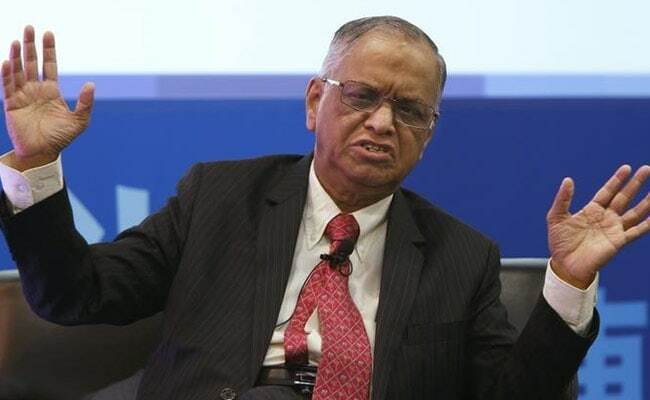 When the market became very tough and it shrank actually in 2001, we all sat together with senior management and then we said - look let us make some sacrifice and ensure that we protect the jobs of youngsters," Mr Murthy said. In recent months, Mr Murthy and other founders of India's second-largest software exporter have clashed with the board over pay hikes of as much as 60-70 per cent for top bosses and severance packages for others, describing them as "grossly unfair to the majority of the Infosys employees." IT outsourcing has long been one of India's flagship industries but experts say automation, a failure to keep up with new technologies and US President Donald Trump's clampdown on visas is creating industry-wide upheaval. Mr Murthy said the industry has survived major setbacks in the past and gloomy forecasts are not valid. "Let us remember we have gone through this several times in the past. We went through that in 2008, in 2001. So, this is nothing new. Therefore, there is no need for us to become extremely anxious. We have had solutions to such problems in the past," he said. While Nasscom is bullish about the future for India's tech titans, HfS Research, a US-based business advisory firm, estimates automation could mean a 14 percent decline in India's IT workforce with 480,000 jobs at risk by 2021. That's a worrying prospect for the hundreds of thousands of aspiring engineers at India's IT colleges. Nasscom this month dismissed widespread reports of thousands of layoffs but conceded that the rate of hiring was slowing. India's top IT companies have been complaining for a while about the difficulty of picking up new clients as businesses explore automation, robotics and innovative technologies such as cloud computing. Amid reports of layoffs, companies like Wipro and Cognizant have said that under-performance is the sole reason for workers being asked to leave. "Companies are unwilling to talk about the layoffs or how many techies have been served notice to leave as part of their annual appraisal," said JSR Prasad, chairman of the National Confederation of Unions of IT Employees. "It is not fair to simply send somebody home, and then let them become very very anxious, because they may have families depending on them," he said.